NEWPORT, Ky. - In bourbon and business, Ken Lewis doesn’t hesitate to work against the grain. 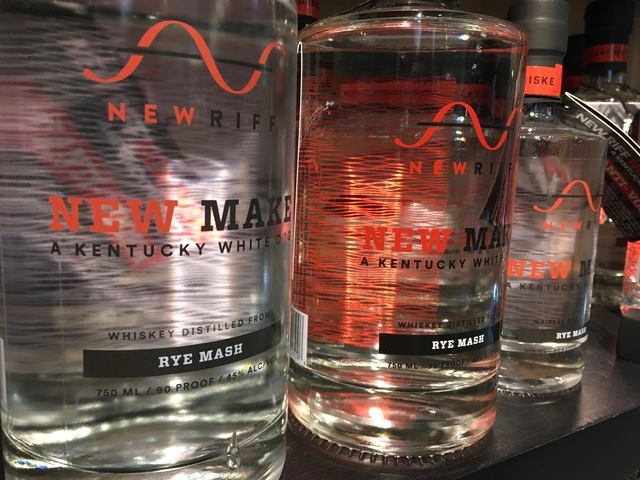 His New Riff distillery in Newport aims to make a name for itself with its rye whiskey blends, as opposed to corn, bourbon’s foundational grain. To help finance New Riff’s development, Lewis sold his Party Source liquor store in 2014 to his employees. He could have cashed out quick and sold to the highest bidder. Instead, he formed an Employee Stock Ownership Plan, or ESOP, that spread the purchase over eight years and is intended to create a retirement nest egg for long-term employees. That’s the same contrarian thinking that caused Lewis to be threatened with criminal prosecution in Louisville for his discount-liquor pricing strategies in the 1980s. It also led to his Northern Kentucky invasion in 1994 with a superstore concept that was intended to make booze buying more like grocery shopping, friendlier to female customers. If you like being able to buy wine on Sunday in Northern Kentucky, you have Lewis to thank. He led the charge for that reform 15 years ago. It’s a tale worth telling in this age of Amazon, in which retailers – apparently fearing for their very lives -- are slashing costs in every way they can: closing stores, replacing cashiers with kiosks, limiting employee hours to avoid paying health benefits. Party Source hasn’t done any of that in the three years following its ESOP conversion. Stiles said revenue is up 14 percent to $48 million. An ESOP is an employee-benefit plan in which a business owner transfers company shares to a trust that distributes ownership stakes to employees. At retirement, the trust buys back employee shares at a price that’s based on the company’s total value when the employee retires. “When those hopefully six figure retirement checks get handed out to people, I want to go to that party and hand out that check,” Lewis said. Stiles said the ESOP is paying Lewis about $16 million over eight years for the Party Source purchase price plus interest. But it can reduce its total payments by using profits to pay off its loan principal early without penalty. That would free up cash for future expansion, which could increase the value of shares in the trust. Or it could be set aside for those retirement checks Lewis hopes to hand out someday. Party Source is among more than 6,700 companies, including 406 retailers nationwide, to adopt an ESOP structure, said Loren Rodgers, executive director of the National Center for Employee Ownership. Typically, the deals are driven by tax advantages to business owners and a desire to motivate and reward workers who contribute to the company’s success. Stiles said that was definitely the motivation for Lewis, who was disappointed by how his former employees were treated after he sold his Louisville chain of Liquor Outlet stores to competitors in 2002. Lewis initially planned for his daughter, Mollie, to own the distillery while he retained the Party Source. Kentucky’s Alcohol Beverage Control Board objected, citing prohibition era rules requiring separate companies to control production, sales and distribution. Before long, Lewis settled on the ESOP idea. “He termed it an elegant solution,” Stiles said. It satisfied regulators and allowed Lewis to share the wealth with those who helped him create it. An accidental entrepreneur, Lewis was teaching high school English in Michigan when his father asked him to come back home to run a failing family-owned liquor store. Lewis had worked in his father’s department store, a discount chain known as CSC. But when he applied those discounting strategies to the liquor business, the Control Board accused him of selling spirits below cost. By the time he expanded to Northern Kentucky in 1994, Lewis was growing weary of managing his 350-employee company. The 2002 sale reinvigorated Lewis. He took up mountain climbing, summiting Denali in 2007. And he came up his next big idea: New Riff Distilling. The bourbon business is booming in Kentucky. Production has tripled since 1999 to nearly 1.6 million barrels in 2016. The Commonwealth now has more than 6.8 million barrels aging in warehouses, or roughly 1.5 times the number of Kentucky residents. And the growth is expected to continue, with $1.1 billion in new capital projects planned for new distilleries, warehouses, bottling facilities and tourism centers. “Bourbon is no longer just a drink. It’s a thriving part of the economy,” said Eric Gregory, president of the Kentucky Distillers’ Association. And then there is tourism. KDA’s Kentucky Bourbon Trail attracted nearly 900,000 tourists to nine distilleries in 2016, beating 2015's record attendance by 17 percent. 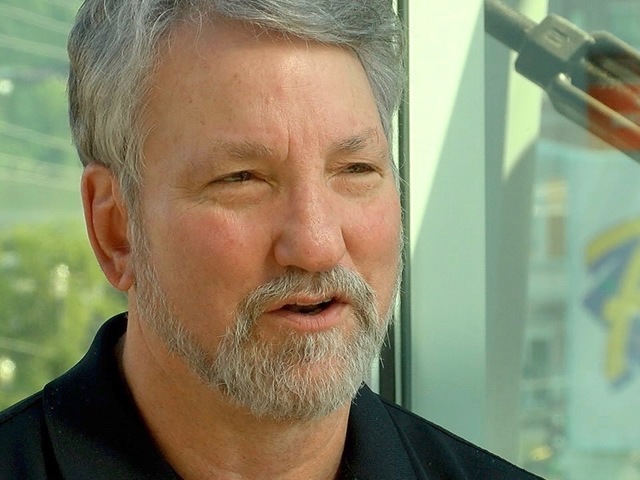 “All these things have created this perfect storm for Kentucky bourbon,” Gregory said. Lewis aims to ride that storm by establishing a reputation for New Riff as a maker of high-quality rye products. All bourbon is made with at least 51 percent corn in its mashbill, or list of ingredients. Most distillers use barley and rye -- and sometimes wheat -- as additional grains. But typically rye accounts for less than 10 percent of the total mix. New Riff is developing bourbon with high rye content, about 30 percent, creating a bolder, spicier flavor akin to Jim Beam’s Old Grand Dad product and various offerings from Four Roses Distillery. New Riff is also making single-malt rye whiskey, following the guidance of Consulting Master Distiller Larry Ebersold. New Riff’s first batches of bourbon and rye are three years old now. They’ll age for four to 10 years before New Riff is ready to bottle them. 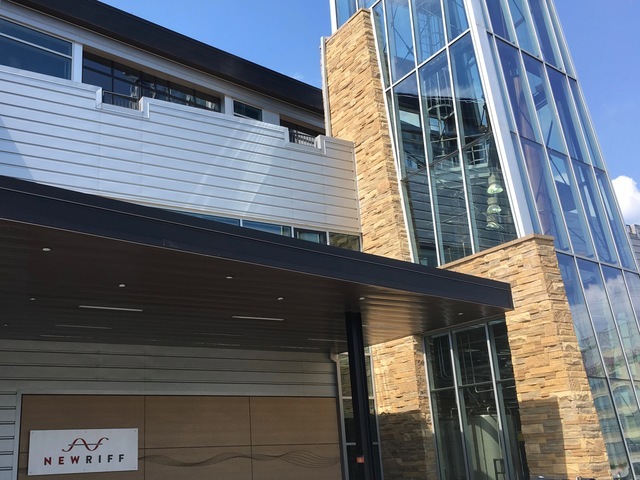 In the meantime, Lewis is using payments from the ESOP to cover about half of New Riff’s $4 million in annual operating costs. Public tours and events generate additional revenue and the 25-employee distillery is producing about 4,300 barrels a year for contract clients while keeping 3,500 barrels for its own brands. Its product offerings so far include Kentucky Wild Gin, which is made in New Riff’s 500-gallon pot still. O.K.I. Straight Bourbon Whiskey was distilled in Lawrenceburg and bottled in Kentucky. It has a taste profile that’s similar to the flagship brands Lewis hopes to debut by next fall. Lewis has invested about $22 million in the distillery and a rickhouse that will store up to 18,000 barrels at 1050 Lowell Street in west Newport. Each of those barrels requires an initial raw materials investment of about $300. Once filled and properly aged, they’ll generate between $5,000 and $10,000 in revenue. So, the business should be nicely profitable by the time those ESOP payments end in 2021. And if not, Lewis will take some satisfaction in trying to make it happen by going against the grain.